If you would like to be added to our PR distribution list or have a specific enquiry please contact our Press Office. 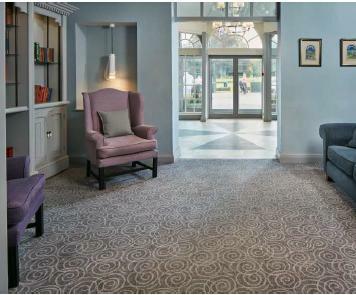 Expert axminster carpet manufacturer Brintons has worked with Hawkstone Park Hotel on a quick turnaround revamp of the hotel using unique designs from the QuickWeave™ Inception collection. Keep up-to-date with our latest product news, design collections and find out which trade shows you can meet Brintons. We work with media in all of our key sectors around the world and would be delighted to support you with images and content.